Matthew Stumpf specializes in representing individuals who have been victims of serious wrongdoing. He has experience litigating a variety of cases, including large and complex personal injury, wrongful death, and product liability matters. Through dedicated effort, Matthew has helped recover more than $80 million in settlements and verdicts on behalf o Panish Shea & Boyle LLP clients. In July of 2015, Matthew was a member of the trial team that obtained $20,500,000 jury verdict in Jun v. Chaffey Joint Unified School District. The Plaintiff was a mother whose son was killed while walking to his school bus stop. The bus stop had been carelessly and illegally designated at a highly dangerous location that required students to cross an uncontrolled intersection on a five-lane highway. Throughout the case, the defendant hid documents and denied that the bus stop was illegal. By the time of trial, the team brought the truth to light. The verdict carried the jury’s message loud and clear, causing the school district to add policies that put student safety first. Matthew is a native of Los Angeles. He earned his undergraduate degree from the University of Southern California. Prior to becoming an attorney, he worked for many years as a paralegal at an international law firm. 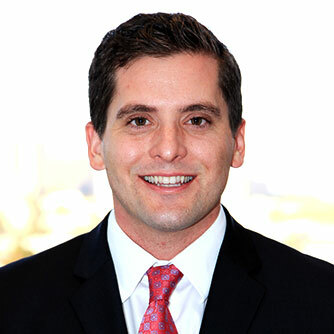 Matthew began his journey at Panish Shea & Boyle LLP as a law clerk and eventual participant in the firm’s fellowship program.